Williams Tree Pro provides professional arborist tree services to commercial and residential customers across Perth. 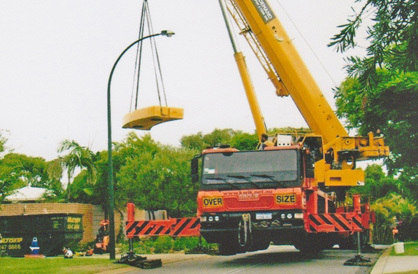 Commencing operations in 2005 and drawing on our many years' experience in the tree services sector, no matter the size or the scope of the job, from small residential projects to large-scale commercial developments. We have everything required to deliver a professional Perth tree service that’s safe and reliable, with all projects delivered on time and on budget. As proud members of the Tree Guild of Australia, we're fully insured with public liability coverage, providing customers with further confidence and peace of mind in our arborist services. "The very best tree men I have ever used, as long as they are in business I will always use them, they are efficient, friendly, clean up after, chip up the wood and take away, and cheaper than the rest." Trees benefit our lives in so many ways, from adding aesthetic appeal to our properties to providing shade and a home for local wildlife, so it's important that your trees are professionally maintained to keep them healthy, looking their best and safe for you and your family. Professional arborist services provided by expert tree loppers keep your Perth property looking attractive while making it safe for you and your family to enjoy your outdoor spaces throughout the year. When trees aren't professionally maintained, branches and limbs can become diseased and die, with the force and weight of a heavy branch capable of harming people and incurring damage to buildings and property. 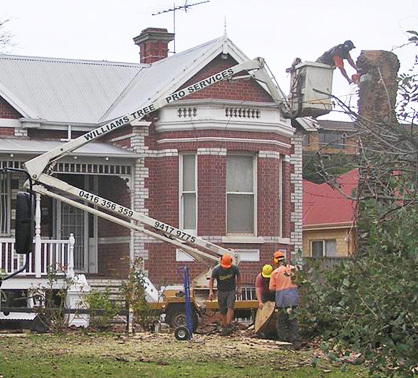 That means regular tree pruning services help to make Perth homes safer places. Dead or dying branches and other issues can be identified and dealt with by a professional qualified arborist. Our passionate, qualified arborists look forward to assessing your trees, providing you with the right advice and carrying out all arborist work to the highest professional standards. Along with the tree services listed above, Williams Tree Pro also provides mulch for residential customers (see below). Well-maintained, aesthetically pleasing trees can add real value to your commercial property and make it a more enjoyable place for your employees to work. Numerous studies have highlighted the many benefits of having trees on commercial premises, with improved air quality, enhanced climate control (by reducing heat intensity), better customer experiences and reduced employee absenteeism some of the most notable. However, to make the most of excellent benefits such as these and enjoy a cool, shady environment, the trees on your property need to be healthy and properly maintained. While there are many benefits to having trees on commercial premises, they are a responsibility and business organisations must understand that trees which aren’t properly maintained endanger people and property. To make sure your trees deliver benefits and don’t pose a threat, it’s essential to have a professional tree arborist assess the trees on your Perth premises and remove any branches and limbs that represent a risk. They can also trim and prune your trees to keep them uniform in size, increase the airflow around their trunks and looking their best throughout the year. Williams Tree Pro caters for a broad range of commercial customers, so no project is ever too big or too small for our qualified and insured team to manage. That means we’re able to take on a broad range of commercial projects that include block levelling and subdivision clearing, broad acre land clearing and the removal of tree fire hazards, debris and deadwood, in addition to general arborist services such as stump grinding, tree removal, tree pruning and mulching. Furthermore, we’ve continued to invest in premium-quality equipment and staff training to provide commercial Perth customers with a complete selection of tree services that are cost-effective, safe and delivered on time, every time. If you don’t see the arborist or property development services you’re looking for in the list above, please don’t hesitate to contact Williams Tree Pro. Video: We take safety very serioulsy when we are removing trees. Some of our tree lopping jobs take us to great heights. We're certified to perform dangerous tree work as well as to work around power lines. Additionally, mulch is also used to great effect for aesthetic purposes, as it improves the appearance of gardens in commercial and residential properties by covering the open spaces between plants and trees. It's also ideal for driveways on large properties, can be used to hold the ground together in areas where soil erosion has occurred and as it's organic and locally produced, it's great for the local environment. Williams Tree Pro Services produces a variety of tree mulch (leaf and tree) as a by-product of the tree trimming and tree removal services we provide across Perth. We can deliver anywhere from 3m3 to 20m3 (cubic metres) of tree mulch to commercial and residential customers in our service area. For a quote, or to learn more about our mulch and the areas we deliver to, give us a call. 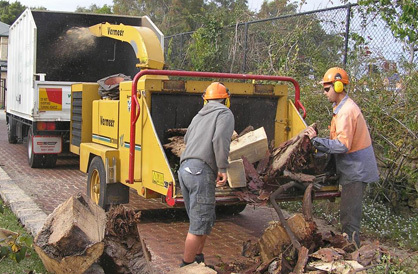 For a complete range of professional and reliable tree services at cost-effective rates, including tree lopping for Perth commercial and residential customers, please contact the friendly and professional team at Williams Tree Pro on 0416 356 359. "We have a few trees which are close to the pool and the tanks and we have to get them cut back often. We use Williams as they are cheap and efficient, much easier than doing it ourselves. They always come within a few days, are flexible, and clean up after the job." Williams Tree Pro is the dependable, reliable and professional choice for Tree Removal and Tree Management Projects. We have over 7 years experience working with a diverse range of residential and commercial clients. Below are some of our satisified customers. We provide rapid fixed quotes valid for 30 days. Williams Tree Pro provides outstanding tree removal expertise across Perth.